In 1853 Solomon Northup published his memoir 12 Years a Slave which told the story of how, as a free man living with his wife and children in upstate New York, he had been kidnapped and sold into slavery, spending the next twelve years of his life working on the cotton plantations of America’s South before finally being reunited with his family. The book was hugely influential in the years leading up to the American Civil War, exposing the inner workings of slavery and opening the public’s eyes to what it really was to be owned by another person. Now, 160 years later, British director Steve McQueen has brought Northup’s story to the screen in a film with the potential to be equally influential. Despite being one of the defining periods of American history, antebellum slavery has not been widely explored cinematically, particularly from the point of view of the slave. 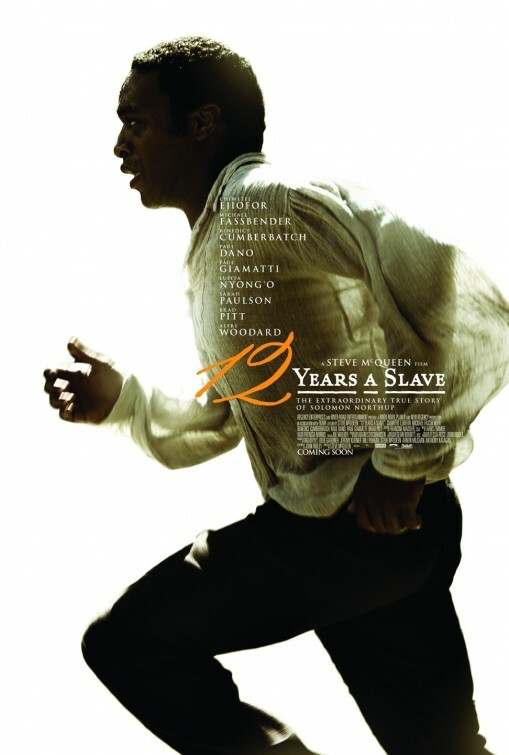 The significance of 12 Years a Slave comes not only from the fact that it is a vivid portrayal of American slavery from the point of view of the slave, but also that it is the product of a the collaboration between a black British director and an African American screenwriter. With his previous films Hunger and Shame, McQueen has established himself as a filmmaker who does not shy away from difficult and provocative subject matter and does not pull his punches. It should therefore be no surprise that his exploration of 19th century slavery is brutal and unrelenting. McQueen uses a number of long takes, holding the image and forcing us to take it all in. A lot of screen time is given to faces, allowing us to watch emotions unfold and develop within characters. British actor Chiwetel Ejiofor delivers a powerful performance as a man thrust into an intolerable situation. Part of the appeal of 12 Years a Slave as opposed to other slave narratives for McQueen was that the narrative was the inverse of what we usually get, with our protagonist going from freedom to slavery. Having Northup start the film as a free man made him an effective surrogate for the audience. Slavery is as foreign and horrific to him as it is to us. It does, however, make for a less all-encompassing tale as in the confines of this narrative the injustice is that a free man has been kidnapped into slavery, not simply that any human being might find themself in slavery. Northup’s story has the quality of an odyssey. This story of hope, of overcoming and refusal to surrender to injustice, is the story of Solomon Northup’s journey home to his family. It is a journey which takes place over a long period of time with constantly changing circumstances as he is sold from one owner to another, some seemingly benevolent, others ruthless. McQueen regular Michael Fassbender plays Edwin Epps, the plantation owner under whom Northup spent the majority of his time. Fassbender is a brave actor unafraid to take on difficult characters, but the violent, hate-filled and insecure Epps might just be his most repulsive character yet. The significance of this project, along with McQueen’s steadily growing reputation, has helped in assembling a tremendous supporting cast including the likes of Benedict Cumberbatch, Paul Giamatti, Paul Dano and Brad Pitt, who was also one of the film’s producers. A harsh but incredibly powerful film, 12 Years a Slave is one of the finest films of the year and could already be the most important film made on this important subject.